As 2017 comes to an end, we review the relationship between the United States and one of its closest allies, the United Kingdom: how do they address the same security threats the U.S. faces? On this week’s episode of 15 Minutes, The Cipher Brief’s Bennett Seftel, spoke with Nick Fishwick who spent nearly 30 years in the British Foreign Service, and served as Director of Security, Director for Counter-Terrorism, and Director General of International Relations. Looking ahead to 2018, Fishwick offers insights on threats to soft targets, the UK-US relationship, and cyber threats in the new year. Is Israeli-Palestinian peace achievable? It’s a staggering question, and one that The Cipher Brief explores in this episode of 15 Minutes. Executive Editor Kim Dozier recently spent some time with Amos Yadlin at a forum in Washington D.C. Yadlin is a former Israeli Air Force general, Israel Defense Forces military attaché to D.C., and was head of the IDF’s Military Intelligence Directorate. Along with discussion around the two-state solution, the two examine neighboring threats to Israel, and the recent decision by President Trump to recognize Jerusalem as the capitol of Israel. 15 Minutes is a weekly interview podcast with the biggest names in the global security space. As Former Deputy General of Mossad, Israel’s national intelligence agency, Ram Ben Barak is right on the pulse when it comes to Israeli security. 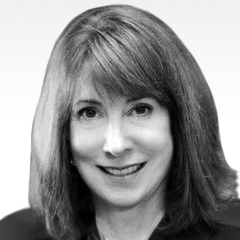 And on this episode of 15 Minutes, he spoke on current Israeli security concerns and its partnership with U.S. intelligence channels with The Cipher Brief’s Executive Editor, Kim Dozier. 15 Minutes is a weekly interview podcast with the biggest names in the global security space. On December 6, President Trump formally recognized Jerusalem as Israel’s capital, ordering the State Department to move the U.S. Embassy from Tel Aviv to Jerusalem. This move is seen by the international community as cementing Israeli soverignity over the holy city, and has drawn condemnation from leading figures around the world. 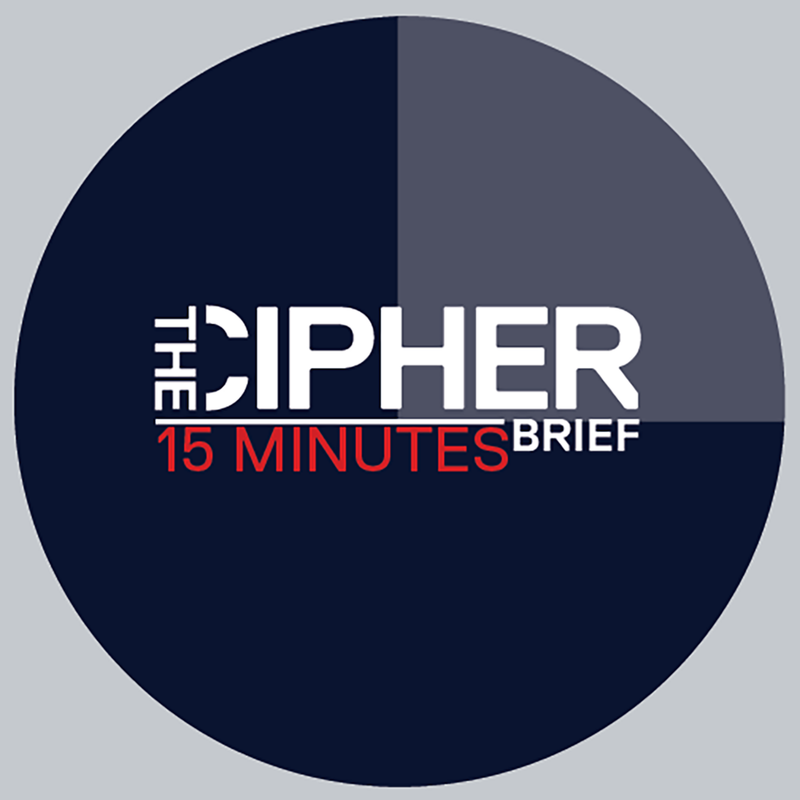 On this episode of 15 Minutes, Cipher Brief executive editor Kim Dozier spoke with Farah Pandith to get some insight on the effects this move will have on Muslim communities in the region. Pandith was the first person to hold the position of Special Representative to Muslim Communities for the US State Department under Secretary Clinton, and had much to share. 15 Minutes is a weekly interview podcast with the biggest names in the global security space. The White House recently released a charter providing transparency into the Vulnerabilities Equities Process, known as the VEP. Around the conversation of how the U.S. government handles software vulnerabilities, The Cipher Brief asks, how are our allies handling the same issues? On this episode of 15 Minutes, Cyber & Technology Analyst Levi Maxey speaks with Robert Hannigan, the former director of GCHQ, the United Kingdom’s counterpart of the NSA. Hannigan provided some insight on the practices applied in the U.K., and how it differs from the U.S.
15 Minutes is a weekly interview podcast with the biggest names in the global security space. This week, The Cipher Brief brings you a special best of episode of one of our most fascinating guests, John Nixon, the first CIA analyst to question Saddam Hussein. As we come upon the 11-year anniversary of Saddam’s death, we hear from Nixon about his time with the Iraqi leader, Nixon’s interrogation tactics, what he uncovered about the weapons of mass destruction, and his views on Saddam’s trial and execution. 15 Minutes is a weekly interview podcast with the biggest names in the global security space. Drone warfare, Russian cyber hacking, new advances in genomics: PW Singer not only researches and covers it all, but can tell you what’s going to happen next. On the latest episode of 15 Minutes, The Cipher Brief’s Executive Editor Kim Dozier interviews the strategist and senior fellow at his offices in New America, where they discussed his work, who is winning the cyber war between the U.S. and Russia (hint: not the U.S.), and what the future might bring. 15 Minutes is a weekly interview podcast with the biggest names in the global security space. From Syria to Afghanistan, South Sudan and Myanmar, war and conflict across the globe have left some 65-million refugees and displaced people world-wide. How should the international community tackle this humanitarian crisis? To find out, Leone Lakhani spends 15 Minutes with David Miliband, President of the International Rescue Committee and author of Rescue: Refugees and The Political Crisis of Our Time. 15 Minutes is a weekly interview podcast with the biggest names in the global security space. In this episode of 15 Minutes, U.S. presidential candidate Evan McMullin talks about his decision to run on an independent platform in 2016 due to his belief that Donald Trump was unfit for office. In the aftermath of the election, McMullin and his running mate Mindy Finn, founded Stand Up Republic and have become a voice for a Republican community that has felt forgotten, or at odds with the current administration. In this extended wide-ranging discussion, McMullin tells The Cipher Brief Executive Editor Kimberly Dozier about how he made his teenage dreams of becoming a CIA operations officer a reality and how he ended up working on Capitol Hill. 15 Minutes is a weekly interview podcast with the biggest names in the global security space. For decades, intelligence recruitment has been taking place at American universities. This isn’t only done by the FBI and CIA, but by geopolitical rivals such as China, Russia and Cuba, that recruit students and professors to gain access to sensitive research and gain insight into U.S. culture and policy. In turn, the U.S. enlists foreign students and teachers to spy on their home countries. Although many may not be aware of this practice, Pulitzer Prize winning journalist Dan Golden has spent decades researching it, and recently released a new book on the subject, “Spy Schools: How the CIA, FBI and Foreign Intelligence Secretly Exploit America’s Universities”. On this episode of 15 Minutes, the Cipher Brief’s Mackenzie Weigner spoke with Dan about his book, some of the examples and cases of intelligence recruitment in American schools, how it started, and what schools aren’t doing to stop it.